Today has been hard, I was preparing for a talk I had to do this morning all weekend, I slept badly thinking about it and once it was done left me in a mixture of excitement and exhaustion. I’m not sure what to call that weird adrenaline emotion. Any suggestions? 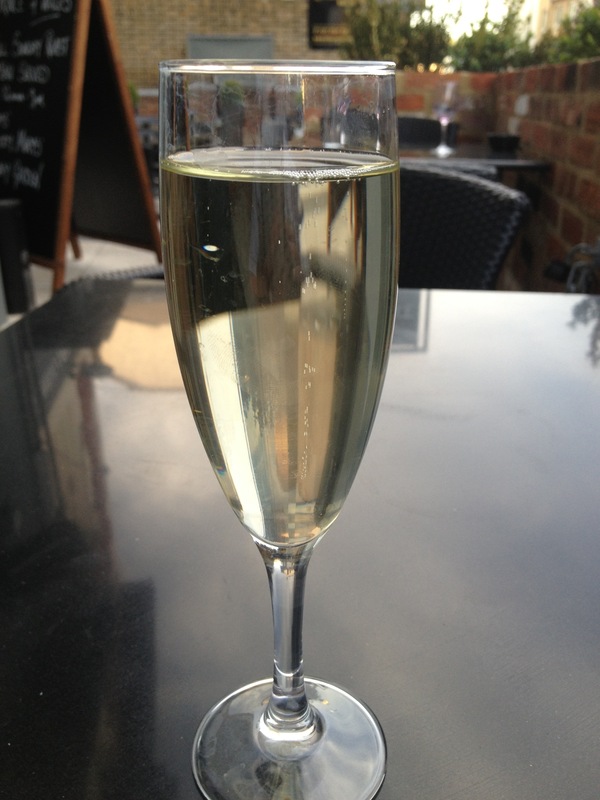 I also had a meeting after work and all I could think about was a beautiful fizzy glass of Prosecco. On the drive home I passed many pubs that would have suited me just fine, sitting outside in the rare sunshine and allowing the day to fade away. I did not run this morning and I knew I would not want to run after the glass of wine. I had to grit my teeth, get home, eat then run for the Prosecco. Here is a outline of the evening and how I managed to still have the drink. Drove home and passed all pubs on the way and avoided temptation. Harder than I thought but tried to view myself from the outside and eventually I thought I looked like an idiot. Put the oven on then changed into my running gear. I felt then that run was going to happen. Placed the food in the oven and whilst cooking was taking place did something use for 15 minutes. I find setting a timer for 15 minutes is a great way to get things done that you were not particularly looking forward to. In this case it was unpacking a suitcase from the weekend that was a niggle and low priority. Ate, washed up and let the food settle for one hour. I then stepped out of the door with money in my shoe pouch and took a beautiful run for a mile along the tow path in the evening sunshine. On the run I was thinking why I ever thought about not running. This was win-win, a chance to exercise, a chance to think about the day in a reflective way and chance to have a relaxing day. I made sure the pub was approximately a mile away on the run. I had to do a bit of fun route engineering on the way to achieve it but it was no problem,. After the drink I walked back home which was about 10 minutes away. Once I had arrived back I felt refreshed and that I had made something of my evening. The mile run saved me once again and transformed an evening that got have easily become lazy. Next time you feel lethargic after work try to get some exercise in the evening. If you can organise yourself and you know you have a busy day then go for a run in the morning – early – make it the first thing you do before a large glass of water. This entry was posted in Health and Fitness, Lifestyle, Running and tagged exercise after work, lifestyle change, Mile run, motivation, running, running a mile, running when tired. Bookmark the permalink. Well done for resisting temptation like that! I ran a mile today and walked a mile yesterday – getting out for fresh air and exercise is enjoyable in this weather, not sure about if it’s raining though! Well done on your walk and run of a mile today. Keep it up. David. I’d run for Prosecco any day! I like the way you bargain or make trade-offs with yourself. That is what I sometimes resort to in order to get in my daily walk. I cannot run – too many injuries and surgeries in my past – but walking is what saves my body and saves/rejunvenates my soul! When the weather is icky or things kind of hurt all over I either call on my internal fortitude or else I make a little deal with myself. For me, the deal usually involves dark chocolate and full-bodied red wine. I am certainly not opposed to Prosecco though!